We had a very pleasant evening walk today down from Bradley Burn Farm to the Wear and then home. 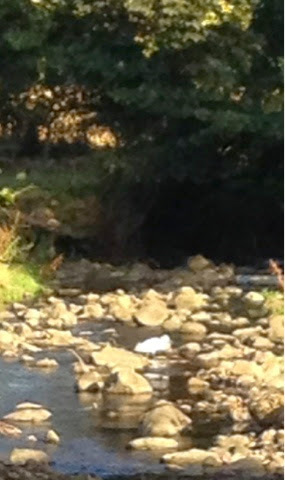 We saw a Little Egret on the Burn (blurry phone pic below ), a first for me in this area. We also saw a Stoat investigating rabbit burrows and a group of 18 Goosander ( adults and young) on the river. 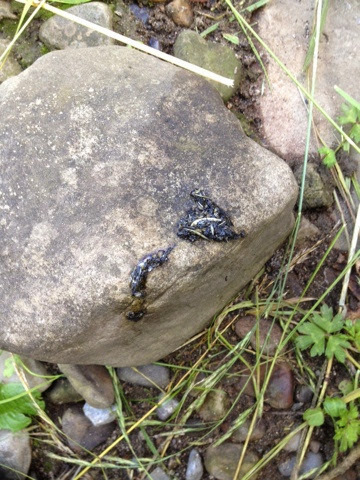 There was also fresh otter spraint on a rock near an inflow stream on the river. (Picture below). I have found signs here several times which is encouraging evidence of a resident animal.